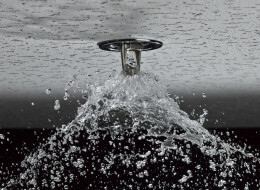 A teenaged boy who set off the fire sprinklers at his Nanaimo, B.C., high school while playing a prank has broken new legal ground and cost his parents nearly $50,000 in court-ordered damages. The case involves a then-14-year-old boy who caused $48,630 in damage when he attached a padlock to just one sprinkler head inside Wellington secondary but set off other sprinklers. B.C. Supreme Court Justice Shelley Fitzpatrick says its the first time ever that a court has wrestled with interpreting the section of the School Act that concerns intentionally destroying school property. The school district argued during the civil trial that the boy, who The Canadian Press has chosen not to name because of his age, was negligent and his intentional act caused the damage. His parents argued the teen didn't intend to cause the damage and the school should have taken steps to prevent such an incident. Fitzpatrick says that had the boy considered his actions, he would have realized that he might have broken the sprinkler, and as a result he is negligent and his parents must pay for the damage, court costs and interests. "I am sure that this is a very unfortunate result for the ... family and perhaps it will be for other families in the future. She says the incident was "clearly the result of a young boy misbehaving," and the boy might have thought that the only grief would come to the janitor and a friend who owned the padlock. "Obviously more dire consequences followed. However, if there is to be any change to this provision in the School Act, that is a matter for the legislature, not the courts."